I have been in Bournemouth for two weeks, almost three weeks now. I have come to do an internship as part of my final BTS exam back home in Martinique. Since I have been in the UK, I have noticed that the climate is very cool for this time of the year, which my classmates and I are not used to. I have not seen/ done much yet so there is still a lot to do in this respect! I would like to go to London (Of course! ), amusement parks for some excitement, experience the nightlife in Bournemouth, which I hear is quite good. I need to shop, go karting and much more I’m sure! I’ve been asked to talk about my experience at a charity shop. During my first week here, we did an intensive English course at one of the local language schools, which was all organised by World Choice Education. The week after, I began my placement by working at a local charity shop in Boscombe. I didn’t really know of Charities Shops, because in Martinique there is not a lot and they are not very well-known but noticed that it is the contrary in the UK. 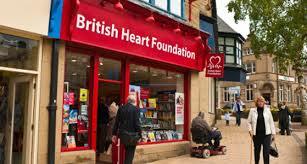 When I worked at the “British Heart Foundation”, Charity Shop (the number one heart charity shop in the UK), I found that it seemed to be a normal shop but the difference was in the prices, which were much less expensive than in a normal shop. In addition, the working atmosphere is very good. All the volunteers were happy to work and very friendly. I know that in France, there are several Charities Shops like “Les restes du Coeur” and “Le secours populaire” which sell food, clothes, etc. I think charities shops are very important for people who are in difficulty such as the unemployed, homeless or those who aren’t earning enough. Thanks to Charity shops these persons can better their situation. By worldchoiceeducation in Uncategorized on May 29, 2015 .